At first glance, a vacation in Vietnam may seem a little intimidating. Albeit beautiful, this developing socialist country has a longstanding history of conflict with Eastern and Western empires, including the United States. 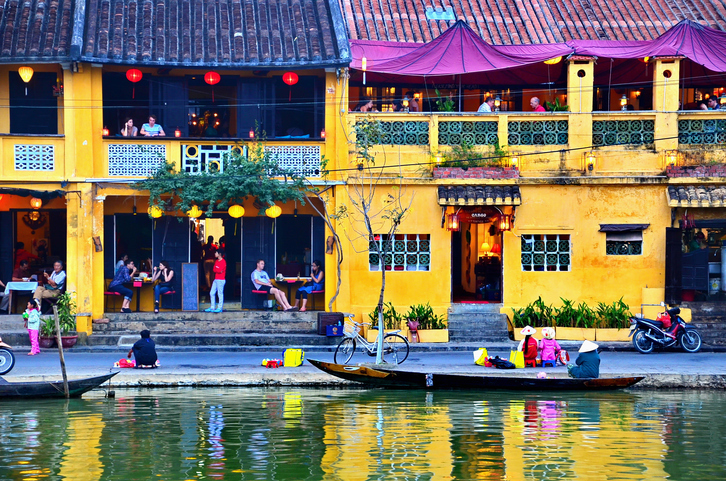 Whether you’re familiar with travel or you’re just getting your feet wet, Vietnam could appear out of reach – for now. 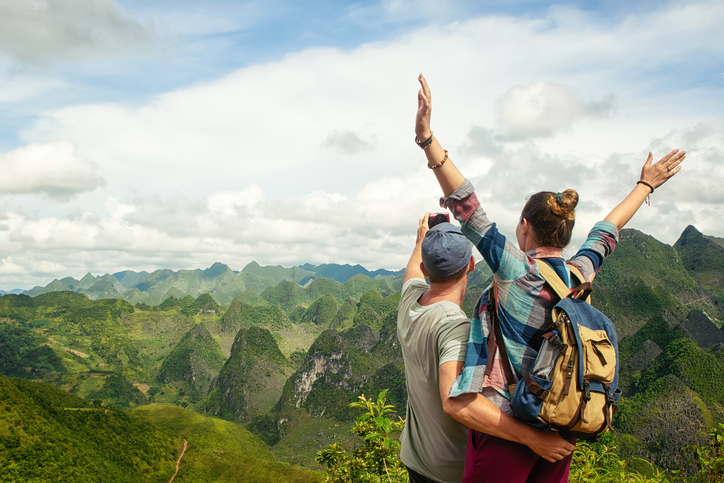 If you’ve put the idea of travelling to Vietnam on the backburner, get excited. 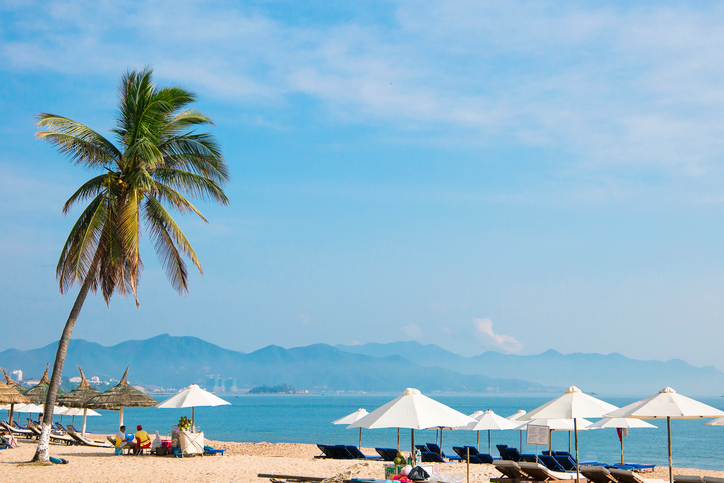 Your Vietnamese vacation is not out of reach. 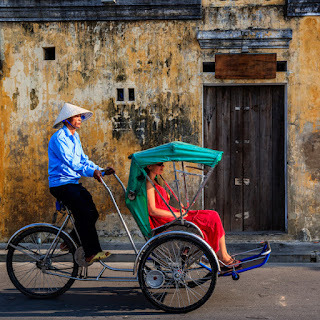 Over the last ten years, we’ve travelled to Vietnam extensively and have found a young, energetic culture that’s eager to put the past in the past. The growing population of Vietnam strives to be unique and independent from China. Here, you’ll always find a friendly smile, comfortable accommodation, exquisite cuisine and a welcoming culture - not to mention some of the most beautiful scenery on the planet. 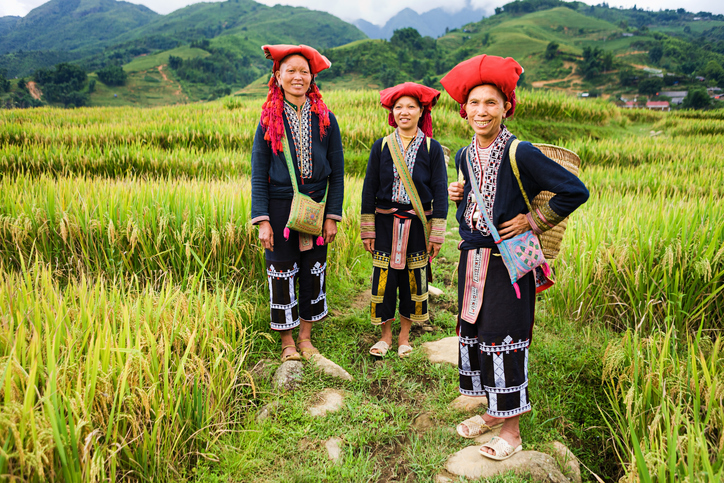 Vietnam is a remote country, seemingly tucked away from the rest of the Southeast Asia. Plan on some jet lag and give yourself time to recover for a day or two before planning any major activities. Relax and enjoy the immersion. You must have a passport and visa to enter Vietnam. 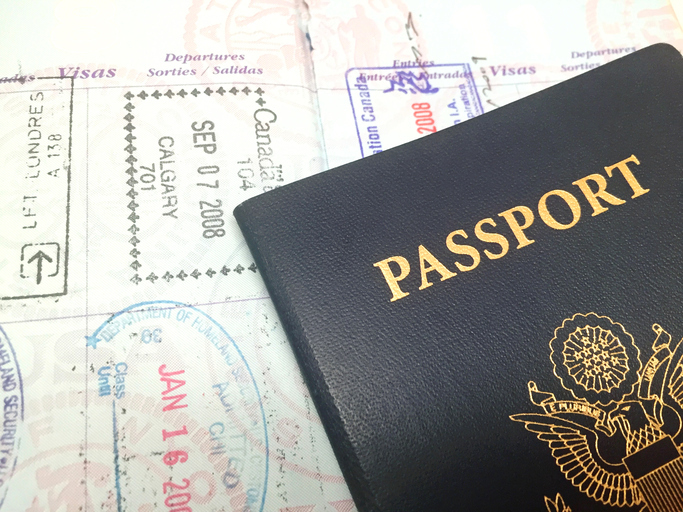 Tourist visas are inexpensive but must be arranged in advance. There are several services available on the internet that will provide a visa on arrival service for you. We’ve come to know and trust Mr. Phong at LVP Travel for this service, or you can apply directly to Vietnamese immigration. In order to apply for a visa, you must have your exact travel dates (arrival and departure) and identification details ready for the application, as well as two additional, recent passport-style photos for each traveler (you can take them yourself with your cell phone camera). Using a visa on arrival service is fairly straightforward: Simply fill out the details of your trip and pay the fee. You will receive a stamped acceptance letter within a couple of days from the Vietnamese government, along with another form to fill out. Show this letter and form to the airline when you check in. You’ll also show it to the immigration officer when you arrive. Finally, expect to pay the immigration “stamping fee” of $25 US dollars per person CASH ONLY (for standard tourist visa) on arrival at the airport. The immigration office does not provide change, so expect to bring $25 per person exactly. If you apply directly to the immigration service, you’ll be able to use a credit card online to pay your fees. 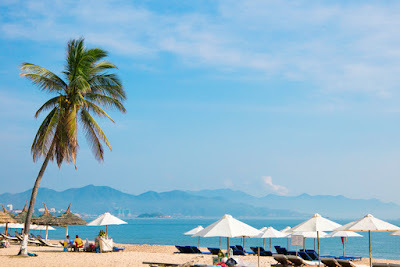 There are a wide range of accommodations throughout Vietnam. In the larger cities, you’ll find world-class hotels, and a variety of decent and clean inns can be found almost anywhere throughout the country. These small family-owned inns will provide a more authentic experience, as you will be dealing directly with owner/operators, and mom will literally make your breakfast! It can be complicated to arrange sight-seeing on your own. Remember, you do not speak the native language, and Vietnamese are just beginning to learn English. Most inns have tour desks in their lobbies that can help you find interesting and inexpensive day tours. Many of the tours conducted in in the major cities will be culturally-oriented. If you have children or teens accompanying you, you may want to head for the beach cities, where you’ll find more kid-oriented activities such as hiking, watersports and amusement parks. Don’t cram your entire vacation with tours and activities. Take time to walk around the block, see the street food vendors, see the traffic jams and hear the propaganda broadcasts. It’s part of the experience! Carry cash! Credit cards are only accepted in the more expensive places, and cash is king in Vietnam. Today in 2018, one US dollar equals nearly 22,800 VND Vietnamese, which means that when you visit one of the many prominent Western ATMs, you will be asking for many millions of dong! Keep your valuables close to your body near the edges of the streets. While not unique to Vietnam, there have been some ‘drive-by’ thefts, especially in Saigon/Ho Chih Minh City. Domestic and international airline service is plentiful, pleasant and relatively inexpensive. Train service is timely, inexpensive and connects most of the major cities. There are a variety of train service classes available, from first class sleeper cabins to “coach” seats. Cab and limousine service is abundant in the cities. Have your hotel call a cab for you. Fun fact: Vietnamese cabs are smaller than taxis in the US and you may have to sit sideways in the back seat. Vans or SUVs are also used, particularly for airport trips where luggage is involved. Tourists will enjoy a cyclo ride in old Hanoi, although this is really a tourist-only experience. A cyclo is a bicycle with a passenger cart attached to the front. It can be somewhat thrilling to ride through old Hanoi on the front of a cyclo, while other traffic seems to be headed right toward you! 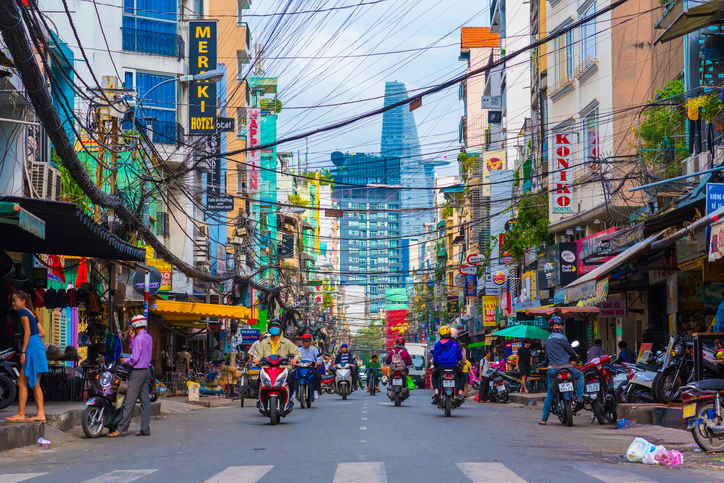 Most Vietnamese now travel on motorcycles on in cars. If you see street food that appeals to you, simply sit down on one of the low stools. The vendor will hand you the food and you’ll pay the small fee. There are no menus, what you see is what you get. For your safety, only eat HOT street food! is not overly-consumed, and most towns (including Hanoi) roll up the sidewalks at around 9pm. Local beers are good, while the most widely available imported beer is Heineken. Watch the bartender open the bottle for you, and wipe the lip before you drink. Wine is scarce, but the wine industry is growing! We do not recommend using ice since many water sources in Vietnam will contain pathogens that are difficult for tourists to process. Your best bets are hot drinks and drinks that come to the table in sealed containers. When crossing the street, you can wait for the crosswalk light to change, but for a more authentic adventure, cross like a local! First, watch the way locals do it – they walk slowly (do not run!) and make themselves very visible. The motorcycle drivers are skillful, and merge and weave around the pedestrians. It looks dangerous but when done correctly, it is very efficient! When in doubt, just follow along and stick close to a local – they know how to do it and are happy to help! Take a cruise on Halong bay for an unforgettable adventure. This naturally-scenic bay features caves for you to explore, kayaking, swimming, fishing and more. Different boats have different offerings and luxury classes. There are numerous sightseeing opportunities, including the Vietnamese museum, Ho-Chi-Minh’s mausoleum, the one pillar pagoda, the temple of literature, the water puppet show, the French quarter, Hoan Kiem lake, and the notorious “Hanoi Hilton” museum. 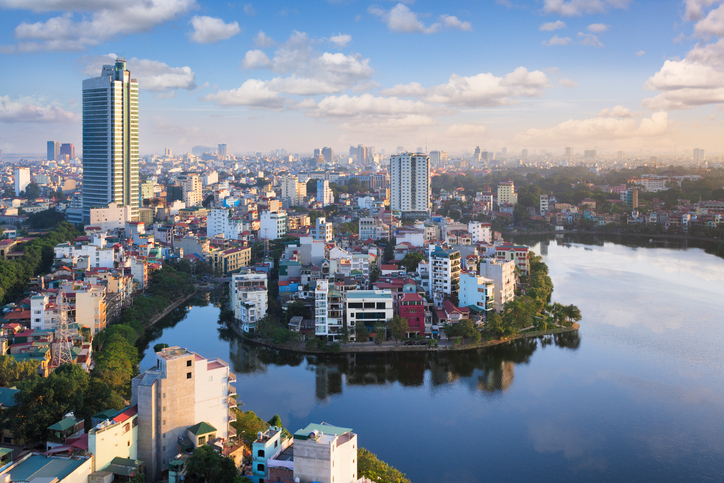 The best experiences in Hanoi, however, are about getting out and walking the streets, simply to soak in the authentic and distinctive lifestyle. This beautiful small town on the east coast in central Vietnam is very walkable. In fact, much of the town is off limits to motorized vehicles. If you want some tailoring done, this is the place. Additionally, you’ll find many excellent restaurants to choose from. A highlight is to visit the riverfront at dusk and send a candle down the river for good luck. TIP: Food in the central or south region is usually sweet and hot. If you prefer milder seasonings, be sure to inform the waiter. Take your kids to this seaside town for the Vinpearl amusement park. Dad can also enjoy the Golf Course south of town. More cruise ships are starting to visit this port. There are many world-class resorts to choose from as well. TIP: check prices in beachfront restaurants before you order, as there have been reports of price gouging. The locals still call it Saigon, and it is the most cosmopolitan, international trading and financial center in Vietnam. All the best hotels and resorts are here as well, but due to international influence, it is not as authentic as Hanoi. A pleasant overnight sleeper train from Hanoi takes you to Lao Cai (literally on the Chinese border), where you will board a bus to SaPa. This is where all of those rice paddy terrace pictures are taken. The people that live here are indigenous ethnic tribes of H’mong and Dzao. They live in traditional un-heated huts, grow their own food and weave their own clothing. This is about as authentic as it gets. This is an affordable and enlightening adventure you will never forget. If you enjoy trekking or climbing, this is a great jumping-off point for Fanxaipan (Fan-See-Pan) mountain, Vietnam’s highest point. A three-day trip to Sapa on a weekend could also include visits to BacHa Sunday market, a sight worth planning around. 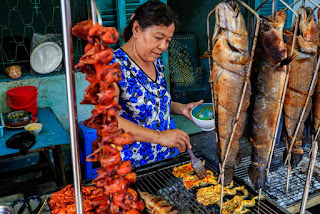 Whatever your taste, we’re sure you will find Vietnam interesting and unique, with friendly people, fine accommodations and incredible cuisine. 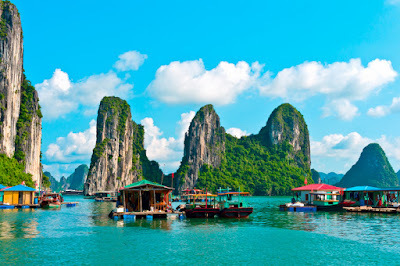 Check your options and further travel tips at http://www.lvptravel.com, and let Mr. Phong arrange a trip of a lifetime for you and your family!